Jenny is a proud Austin resident who calls the Dripping Springs in the hill country home. Although she didn’t start out as a real estate agent, she can’t imagine doing anything else! Jenny spent five years working as the marketing director for a real estate developer and over 2 years for the Dallas Symphony as their Director of Online Marketing before making the transition to full-time real estate sales in 2012. A graduate of SMU, she also has eight years of professional marketing experience. Jenny is a Multi Million Dollar Producer and recently ranked as the 19th Top Performing Agent in Austin with her 2018 production. 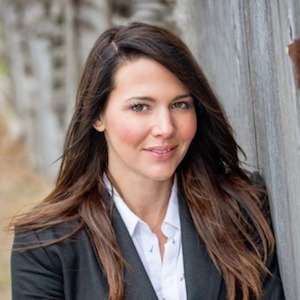 She specializes in the Dripping Springs, Driftwood, Wimberley and South Austin areas and is the exclusive real estate agent for the beautiful community of Howard Ranch. Jenny’s extensive knowledge of the Dripping Springs area and the Austin hill country makes her your go-to agent when it comes to buying or selling a home there. In addition to home sales, Jenny specializes in land sales and custom home builds. She is an expert when it comes to guiding clients through the land buying and building process. Jenny loves meeting new clients and forging relationships with them that last beyond closing. Her easy-going personality and excellent listening skills put her clients at ease and reassure them that their needs are taken care of. Jenny is never too busy for her clients and always makes herself available to answer questions or solve problems. With so much to do in the hill country, Jenny and her daughters enjoy spending time near their home in Driftwood. They also like to take day trips to nearby Luckenbach and Fredericksburg and love visiting downtown Austin's South Congress Avenue!